Our wholesale silver bullion contracts are ideal for investors that wish to establish large holdings of the physical precious metal. Each contract delivers 25,000 troy ounces of silver at a time. These large scale delivery contracts for silver were created in order to cater to the high demand of institutions and high net worth private individuals. The size of each contract makes bulk trading easier by significantly reducing the number of contract units to account for per trade. The Allocated Bullion Exchange was specifically created as a physical precious metals exchange to supply high volumes such as this along with allocated bullion solutions for institutions. The 25,000 ounces of silver in this contract are made up by 250 bars, with each bar being 100 troy ounces of silver. 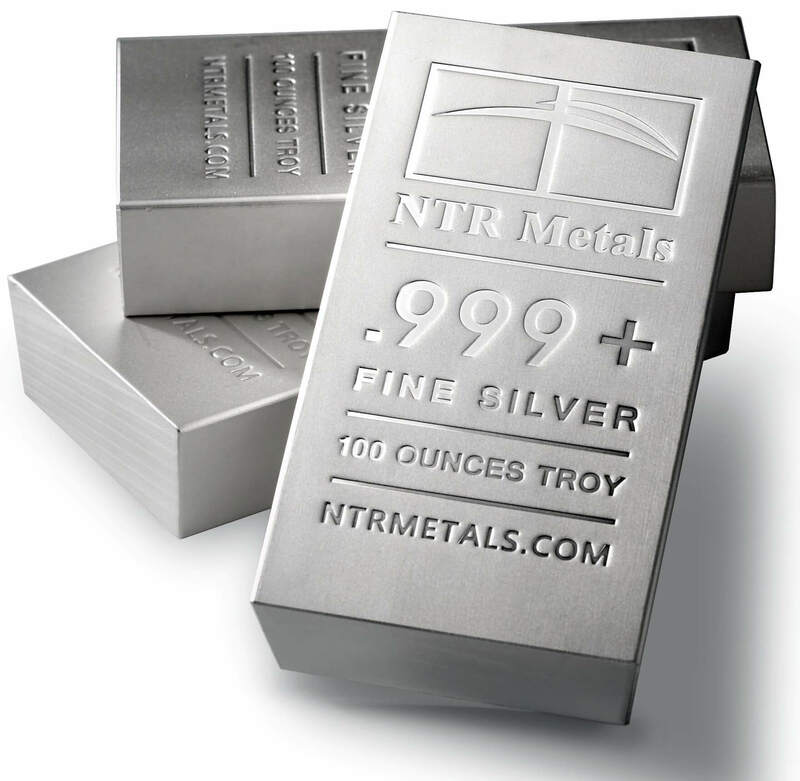 These 100 troy ounce silver bars are already supplied on the exchange as products to be traded as individual bars which can be bought in any multiples you wish. All of these bars of silver are refined to a minimum purity of .999 (99.9%) and are poured and cast at LBMA accredited refiners. Due to their purity they are classed as investment grade and eligible for IRA use. Basically this trade contract is for just over ¾ of a tonne of physical silver. In the interests of transparency, the table below details the full contract specification for the wholesale silver trades globally. You can find the contract specifications for all our products in our full precious metals brochure, which you can also download. If you aren't sure about some of the terminology in the below table then see our explanations on contract specifications. Please feel free to contact us if you have any questions relating to the wholesale silver bullion contract. It's very easy to set up an account with GoldVu so that you can start purchasing the cheapest physical precious metals worldwide. Everything is done online through your browser and only involves 2 steps; adding your basic details and uploading a scan of your photo ID or incorporation certificate.